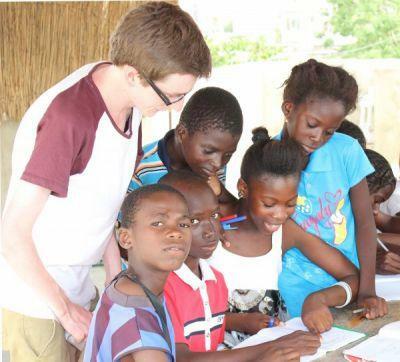 Care volunteers in Senegal often work with Talibes at the ASF Talibe Center. Talibes are young boys who live on the street, but benefit greatly from the Care volunteers who clean their wounds and teach them. Up until very recently, the volunteers only taught male children; this is no longer the case as more and more young girls are coming to the center to attend classes. These young girls regularly attend school, but most of the time they don’t have family members who are educated enough to help them with their homework or just to show interest in what they learn. Our volunteers who are teaching at the ASF Talibe Center have organised courses that will help these pupils review their lessons and prepare them for the upcoming academic year.